Welcome to Cold Blood Creations. Like many with an interest in herpetoculture my fascination with reptiles began at an early age. Growing up in the south of England, I would catch lizards and snakes in the countryside around my home. In the early 90's I began keeping exotic reptiles, and kept many different species of snakes and lizards until 2004, when I sold off my UK collection to travel extensively throughout India and SE Asia. I ended up living and working in Malaysia and southern Thailand for the next six years. I now live in Sweden and my fascination with these enigmatic creatures continues, with a special interest in Indonesian and Australasian pythons. I began rebuilding my collection here in Sweden in 2010. On this web site you can see the species that I am currently working with and any captive bred young that I have for sale. 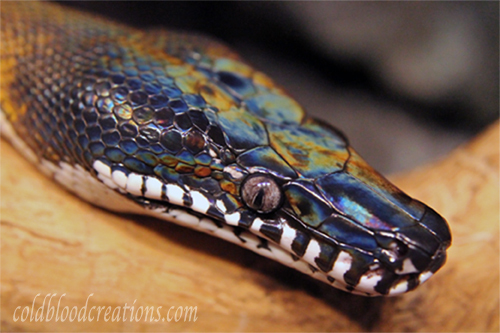 You can also find general descriptions, natural history and care information for each species in my collection along with how I personally keep my reptiles. 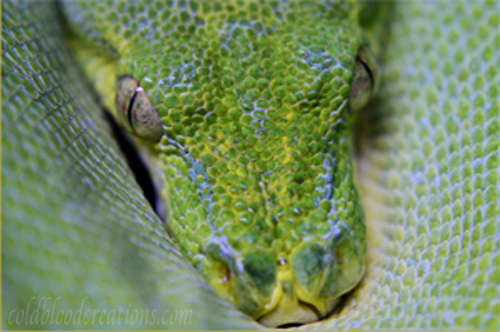 I am not a business or by any means an expert, just a hobbyist with a passion for reptiles. If you are keeping any of the species that I keep or are thinking of keeping any of them then I hope that you might find some information on this website useful.